SkinHD are pleased to be offering a brand new product – Sunekos! 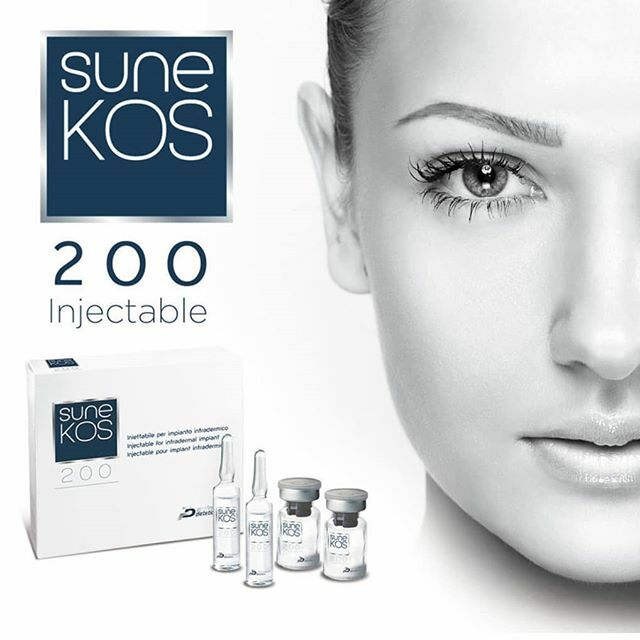 Sunekos is a new injectable aesthetics treatment that rejuvenates the skin from the deepest layers of the skin by increasing cellular regeneration. It’s a patented formula of amino acids and Hyaluronic acid that stimulates the production of collagen and elastin – which are the main structural components of the Extra Cellular Matrix (ECM). By repairing any damaged skin and boosting your own natural production of collagen and elastin, its rebuilds your skin through a process called dermal biogenesis – literally skin regeneration. 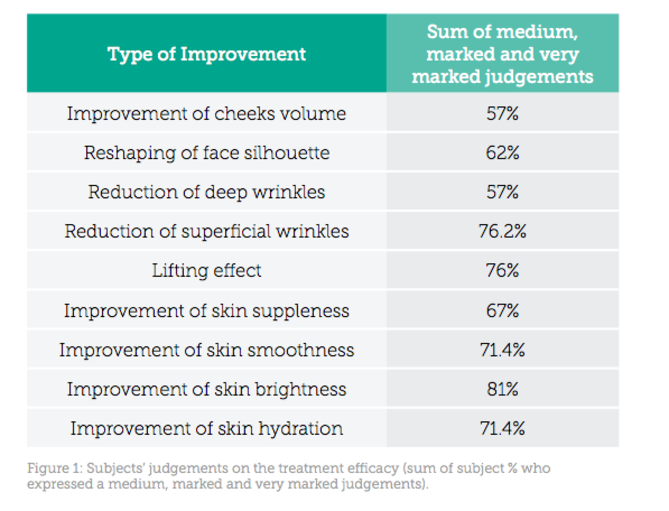 How is it different from other fillers? Normal fillers contain Hyaluronic acid – which naturally occurs in the body and retains over 1,000 times its weight in water in the skin, keeping the area hydrated and moisturised. Rather than just ‘filling in’ lines and wrinkles, Sunekos also contains a patented formula of amino acids, which are essential for the creation of healthy skin and promotes the body’s own production of collagen and elastin. This process rebuilds the dermal layers of the skin and restores the natural youthful look by tightening the area, improving skin hydration and texture and plumping wrinkles and lines out. Sunekos comes in two preparations; Sunekos 200 (suitable for clients with less visible wrinkles) and Sunekos 1200 (perfect for more visible signs of ageing). They can also be used in combination to provide the best results. You will have 4 sessions each one week apart. You can see a marked improvement as the treatments progress, but the entire course of 4 must be completed for the area to get the intended results. Here is a treatment timeline picture of our lovely model Gill. 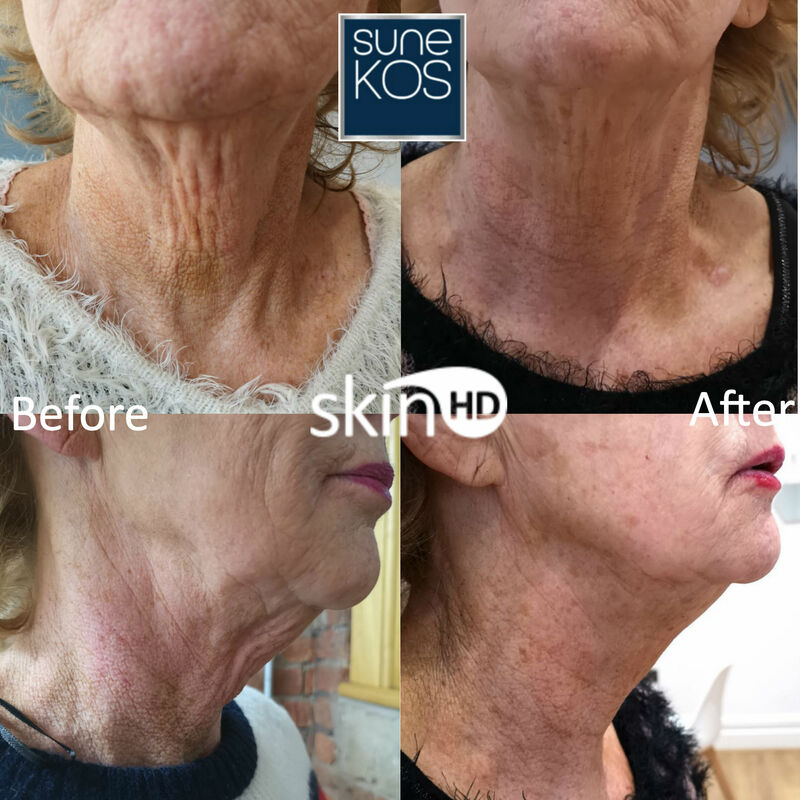 As you can see as the weeks progress, there is a massive improvement in skin texture, fine lines and wrinkles are much less apparent and the tightening of the skin has really given her a lifted effect on her neck and jawline area, giving her that definition that is lost naturally as we get older. The treatment does involve lots of little injections, but we use such fine needles that it is virtually painless and does not require local anaesthetic or numbing creams. How long does Sunekos last? Sunekos lasts up to 6 months, but research suggests that there is still improvement in the skin for approximately 8 months afterwards. We offer one area (neck or face) for £650 for the course of 4 weekly treatments. Book your free initial consultation and to learn more about this fantastic new treatment!